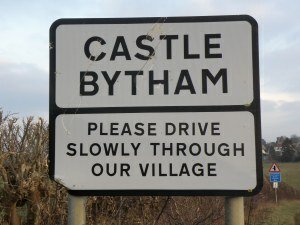 This was the very first cycle I did, when I moved to Little Bytham during 2001. I really like this cycle, because it’s a got a lot of good up and downhill sections. So it does my legs and bum a lot of good. It takes me around 25 minutes on average to do this cycle, so it’s a bit on the short side. Elevation and statistics data from : 19/11/2011 : Garmin connect ID: 129588999.